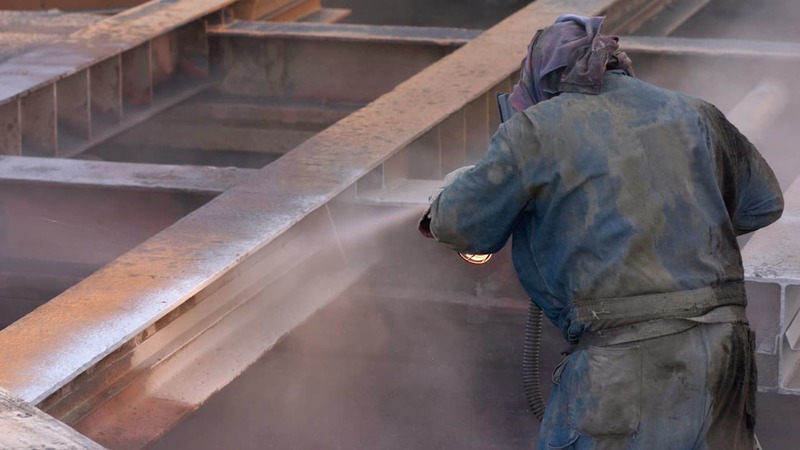 The Labor Inspectorate announces a ban on the use of sandblasting sand, Colad - AirTec Blasting Materia-3010 (No. 041 3010) and Eurogrit Aluminum Silicate Blasting Grit, which contains asbestos (Crosbyil) trace sand, while sand is used for sandblasting metals in various industries. The colad sand is imported by Poulsen ehf. from the Dutch company EMM, bought by Sibelco, also known as Eurogrit, while Verkvík-Sandtak imports same sand directly from Sibelco for its own use. Poulsen, who has sold the sand to a number of companies and other users, has stopped selling the sand and asked buyers to resubmit all the supplies from him. The product is sold in 25 kg plastic. The Occupational Safety and Health Administration emphasizes that those who have used the sand, handled or been in contact with them are not at risk as the amount of asbestos is very low, while the measurements of sand produced between June 2016 and June 2017 show that asbestos levels was between 1.6 and 4.4 mg / kg in dry matter (0.00016 to 0.00044%), but as a precautionary measure, the Occupational Safety and Health Administration prohibits its use. Please contact the Labor Inspectorate if you request further information.